DISCLAIMER: If you are struggling with anxiety, please talk to your doctor, therapist or someone who can help you. I am not a doctor or therapist. This post is not intended to replace speaking to a mental health professional. 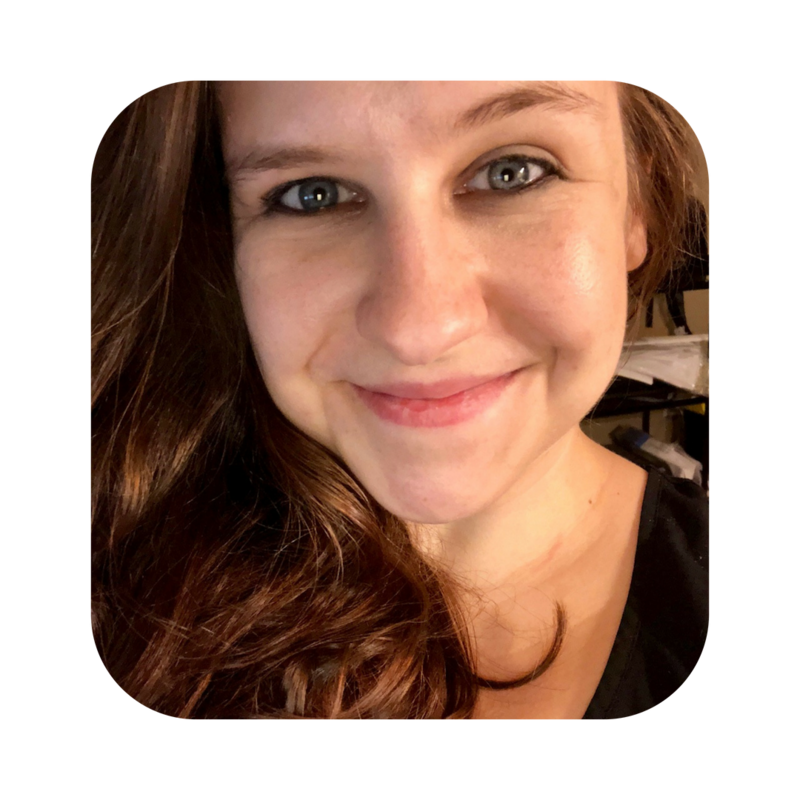 Instead, this post is intended to share my story and some tools that have helped me during motherhood. When I think about my anxiety, I literally get anxiety. And, if I’m honest with you, it is the one thing that I’d like to change about myself more than anything else. More than my crooked teeth or my weird big toe that is longer than all the rest or the way my nose goes more to one side. But just like all of those other things, anxiety is a part of who I am. It’s a part of me, but it isn’t me. And while it is a constant battle for me to keep my head above the anxiety and the accompanying depression, I remind myself that I’m strong and I use the tools below to ease the struggle. If you are struggling with your anxiety and balancing it along with motherhood, this post is for you. Everyone’s triggers are different, and everyone has anxiety about different things. But if you consistently see that something is triggering it, cut it out of your life. Social media can be a huge anxiety trigger for me. In one scroll of Facebook, you can run into old memories, stressful news articles, political debates, and a million differing opinions about the world. It can be a lot to deal with. If you are finding things like Facebook to be triggering, try unfollowing people that consistently post that type of content (it will keep you as friends, so no drama there), and reducing your time on the platform. Other outside noise that may be triggering could be family or friends that have opinions about how you are raising your baby. If you are dealing with people constantly giving you their opinion, try talking to them about it or simply reduce the amount of time that you spend with them. And remember that you are the one in charge with your baby. Okay, this one is easier said than done, but it is a huge help if you can master it (or even master it part of the time). For so many months, I beat myself up about whether I was a good enough mom. Cue my good ol’ anxiety. When I would see other moms out and about or on social media, I would compare myself to them. As moms, we all have a different journey. And for the most part, I think every single mom is doing their absolute best. So, as long as you are doing the best that you can right in this very moment, don’t worry about what other moms are doing. And remember – moms are way more likely to show the ways they are killing it on social media than all the ways that they feel like they are failing. So be kind to yourself. Taking self-care time is super difficult, especially as a new mom. But I highly encourage you to. 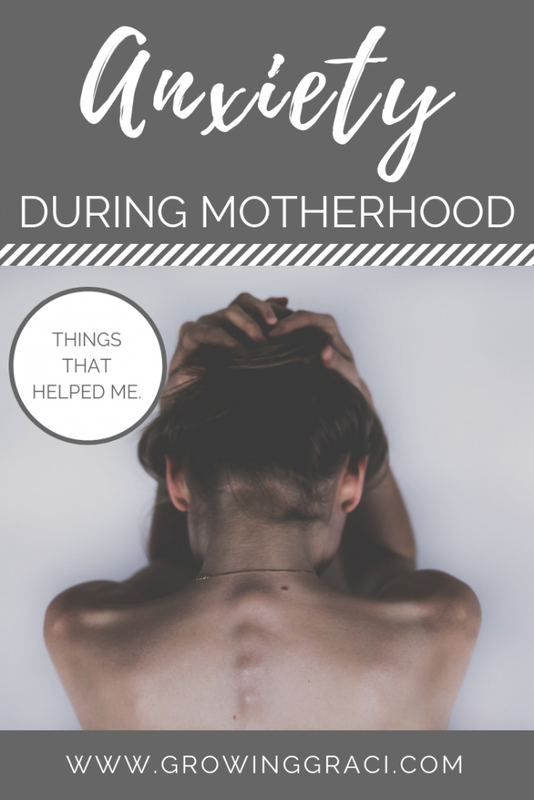 During the early days of motherhood, it feels all encompassing and overwhelming. You forget that you are still an individual person, separate from that adorable squishy baby. However, it is so important that you take a few moments to yourself so that you can remember who you are. Still to this day, one of my favorite ways to help my anxiety is to take a hot shower while listening to music or a YouTube video on my phone. My husband is amazing and tries to get me to leave the house while he’s with Graci, but that’s hard for me to do! I genuinely want to be with them all the time, but I’m learning that it is better for them if I take care of myself. And, the funniest thing is that when I have forced myself to go out by myself, I return with a recharged battery, and I don’t even have to be gone long to achieve it. If someone you trust can watch your baby in the early days, hop in the shower and take an extra couple minutes to relax. And, when your baby gets a bit bigger, go out and do something just for yourself. Even if it feels really hard to do. By recharging your battery with some self-care time, you’ll better be able to battle that anxiety and be the mom/wife/partner that your family deserves. This has been one of the biggest tools that I’ve used to calm my anxiety in the moment. When I have really been freaking out about something, I try to take a deep breath and focus on what is happening around me at the moment. So much of my anxiety revolves around the “what if” idea and not about what is actually happening in the here and now. As a result, focusing on what is happening now can really calm me down. If I’m holding my daughter, I try to think about how it feels to cuddle her, the way that she snuggles in when she’s sleepy, the soft baby hair that just keeps getting crazier by the day, the cute little sounds she makes when she’s sleeping, etc. Basically, I think about what is around me, right now. And if we’re playing, I try to stop thinking about what is causing my anxiety and instead focus on trying to make her laugh. I get into playing with her and pretty soon we are both pretty happy campers. I know that being in the moment is not always achievable. Sometimes, I feel like I’m so anxious that I’m paralyzed. But, by trying to be in the moment more often, I am able to fend off a lot of the anxiety that I feel and I find that I’m appreciating my life a heck of a lot more than if I was all in my head with anxiety. Being a mom can be overwhelming. And when I feel overwhelmed, my anxiety usually comes knocking. Whenever I start getting really overwhelmed, I try to take a minute and get it out of my head into a list. That way, I can tackle the overwhelm in a logical way. If you are into fun stationary, try buying a fun planner that you can write things down in. There are tons of fun planner accessories these days and it may provide a functional and creative outlet to help your overwhelm. One of my favorite planner companies of all time is Erin Condren. I’ve owned so many of their products over the years and you really can’t beat the quality and design. Use my referral link here to get $10 off your first purchase. My husband is my biggest cheerleader in life. He believes in me even when I don’t believe in myself. Something that has helped me immensely while dealing with my anxiety and motherhood has been having him there to listen to me talk it all out. If you are married, talk to your partner. If you aren’t married, find someone in your life that you trust to talk about it with. Unfortunately, for those of us that do suffer, not everyone is going to understand the struggle. And that can be really hard. But you have to try and remember that they don’t get it, and try not to let their uninformed comments bother you. Try to focus on keeping you and your baby healthy. And let the rest slide. Hands down, this is the most important tip on this list. If you are suffering, you need to tell a medical professional. Your doctor should not judge you or minimize your feelings. If they do, find a different doctor. While this is the most important tip on the list, it can be one of the hardest. But I promise that having an uncomfortable conversation with your doctor will be so worth it. Are you someone who deals with anxiety while being a mother? I’d love to hear your tips for managing it!